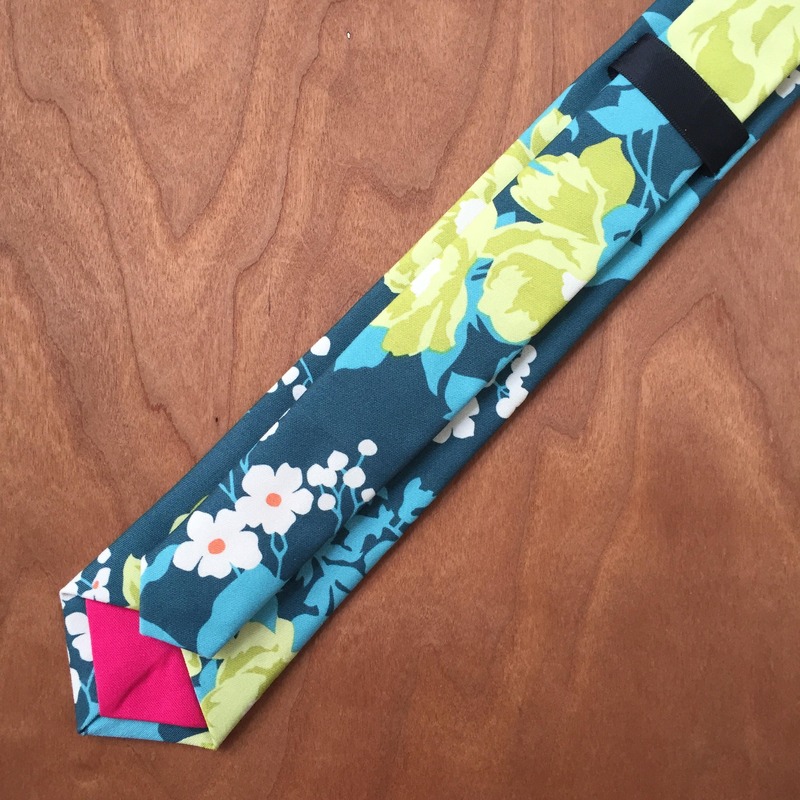 Beautiful, bright and bold neck tie made from a beautiful sateen fabric. You won't see a print like this anywhere else! 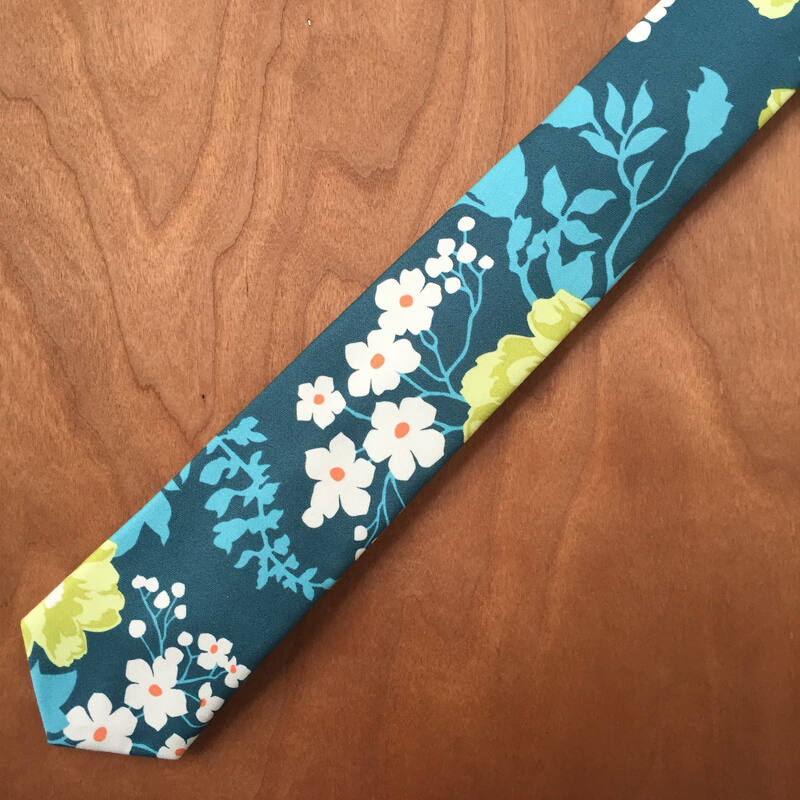 This gorgeous teal floral print with white and lime flowers is stylish and romantic . 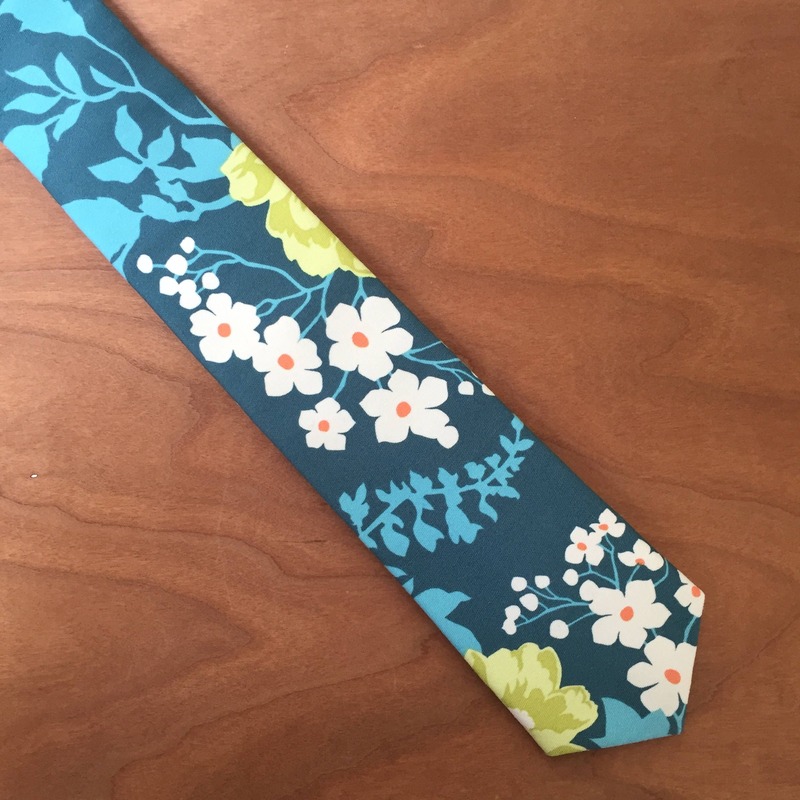 This is a cheerful design that would look great with a navy or khaki suit of any shade or even a sharp chambray suit. 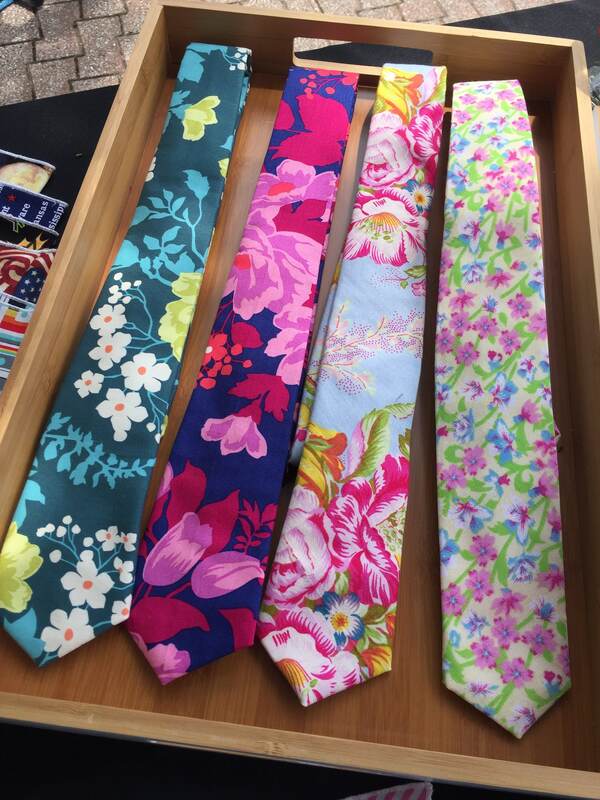 This tie could also be dressed down and paired with some denim jeans and a brown Chelsea boot. Each tie is hand cut from a continuous cut of fabric so fabric placemat will vary from tie to tie. 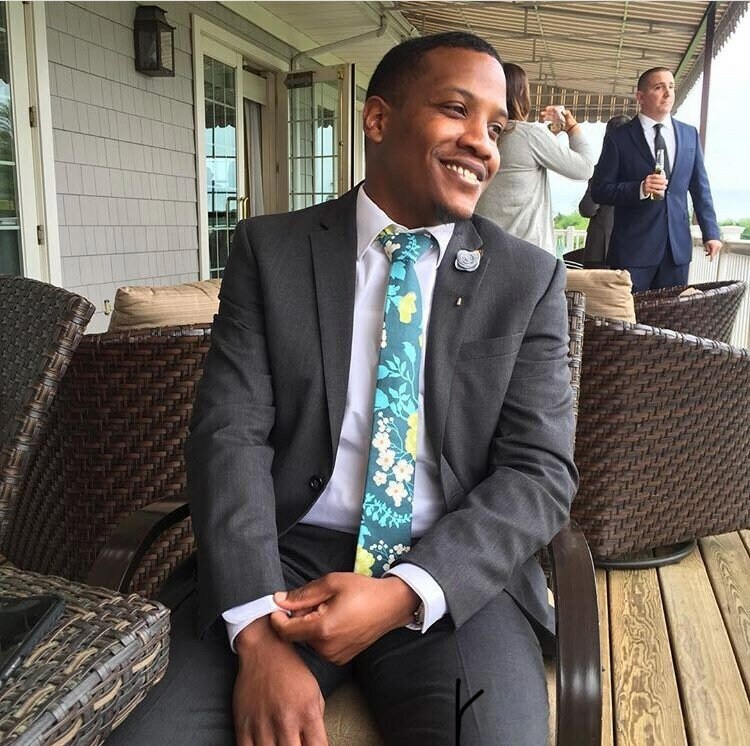 Please feel free to contact us if you have any questions and don't forget to order the coordinating pocket square!